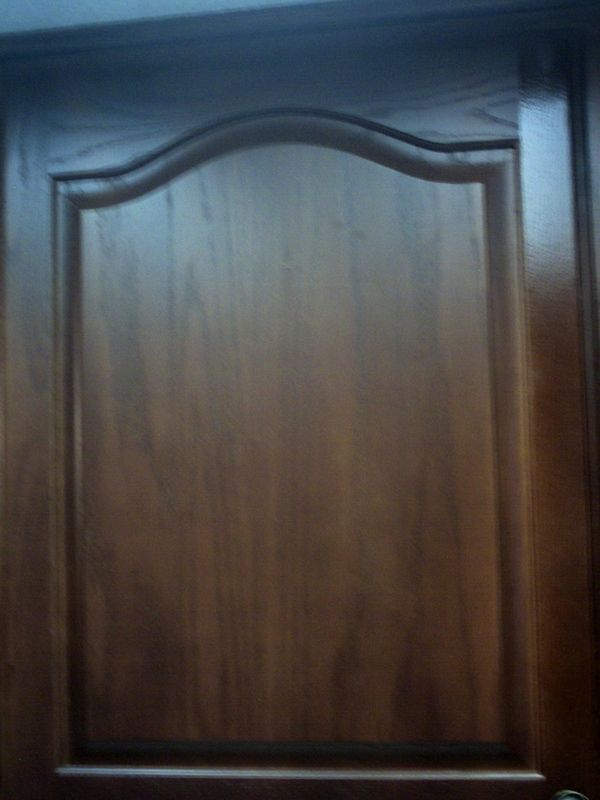 as a dark cherry wood color. 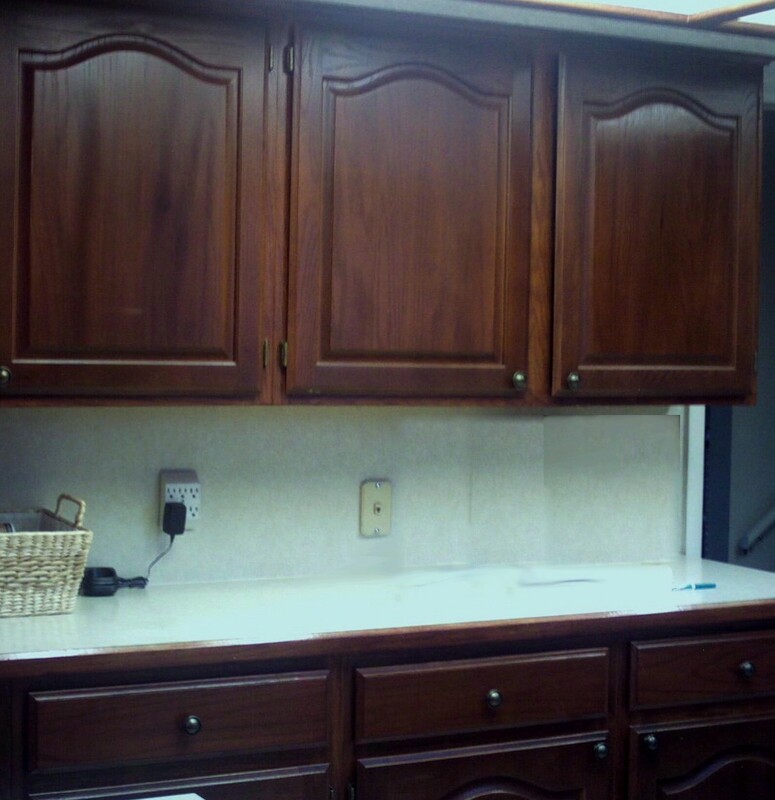 felt the original oak cabinets never looked clean. 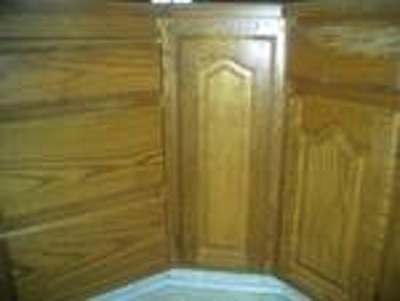 lacquer was sprayed on to change the color. 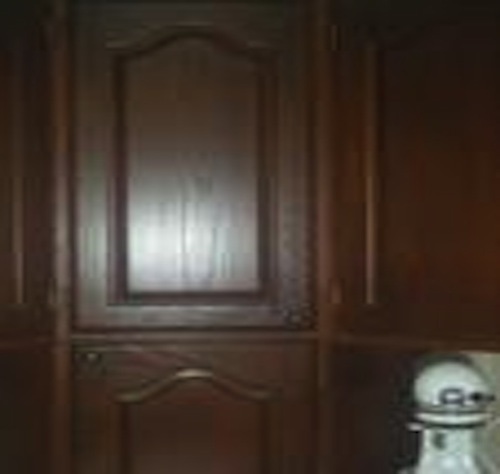 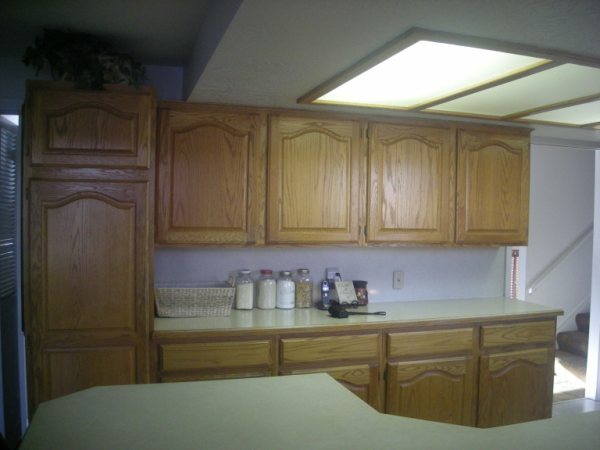 These cabinets are in Orem, Utah.